TSA Chief Defends Airport Screening Procedures John Pistole told a Senate panel Tuesday that the measures are a balance between privacy and security. But the procedures -- a choice between a full-body scan and an invasive pat-down -- have everyone from civil liberties groups to airline pilots upset. The head of the Transportation Security Administration is defending controversial screening procedures at the nation's airports that have everyone from civil liberties groups to airline pilots upset. TSA Administrator John Pistole told a Senate panel Tuesday that the measures are a balance between privacy and security. Pistole's appearance before the Senate Homeland Security and Government Affairs Committee came after several days of criticism of the TSA's newly enacted screening policies. 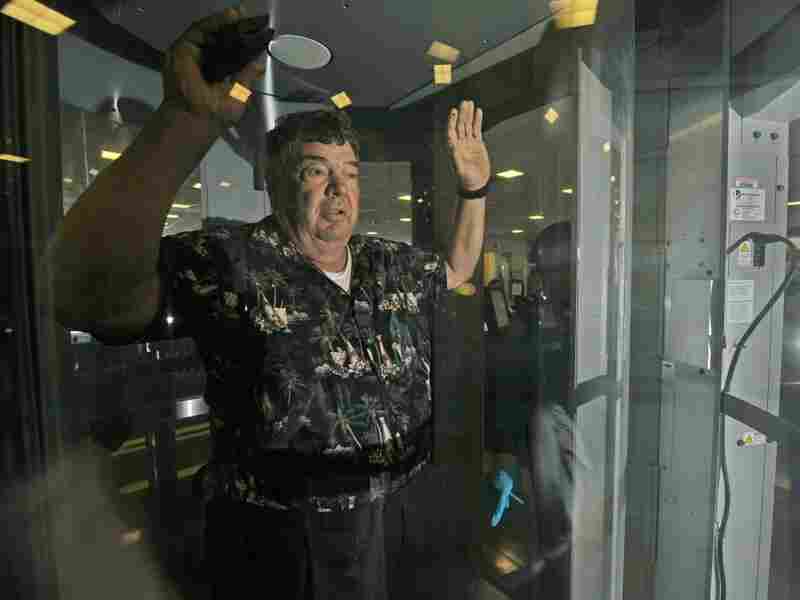 Those policies give travelers a choice of going through full-body scanners at the some 60 airports where they are installed or submit to an invasive pat-down by a TSA officer. Civil liberties groups have likened the full-body scanners to a virtual strip search. The scanners have been going into service since the failed attempt last Christmas to bomb a Northwest jet bound for Detroit by a man with explosives hidden in his underwear. Pistole told lawmakers most travelers want to know that the passengers on their flight are safe. "If you have two planes getting ready to depart and one, you say, everybody has been thoroughly screened on this plane, and you can either go on that plane or another plane where we have not done a thorough screening because people did not feel comfortable with that, I think most if not all of the traveling public will say, 'I want to go on that plane that has been thoroughly screened.' "
For the most part, Pistole got a friendly reception from the Senate panel. "I understand the privacy sensitivities," said Sen. Joe Lieberman (I-CT). "Of course it's awkward, it's unusual. "On the other hand, the overwhelming majority of us, we get on those planes and we want to have the confidence that nobody on the plane has evaded security in a way that will allow them to blow up the plane and kill everybody else on it. So this is unfortunately the world in which we live." Sen. John Ensign (R-NV) said he was concerned by reports that some travelers could get out of the screening by citing religious objections. "Let's just say I don't want either of them because of religious reasons," he said. "What happens to me?" Pistole responded: "While I respect and we respect that person's beliefs, that person's not going to get on an airplane." The hearing was originally called to discuss last month's discovery of two printer-toner cartridges that had been filled with explosives and were shipped from Yemen on cargo jets. Republican Sen. Susan Collins of Maine noted that air-cargo manifests are handled much differently from cargo aboard ships, which have to file their manifests with the Department of Homeland Security 24 hours before the vessel is loaded at a foreign port. Collins notes that air-cargo manifests need to be submitted only four hours before the cargo arrives in the U.S.
Pistole responded that the department is working on the issue, but has run into obstacles from shippers. "A number of the smaller carriers around the world are not fully electronic in terms of their communications," he said. "So how do we actually implement that? So clearly the intent is there; it's how do we make it happen?" Collins also asked why TSA was not using scanners found at some European airports that produce images in which the traveler is represented as a stick figure, with suspicious objects highlighted. Pistole says those scanners are now being tested, but often produce false positives. He said they are probably the next generation of scanners, but that's little consolation to most flyers in the upcoming holiday travel season.